Hollandaise sauce is an emulsion sauce consisting of butter, egg yolk, and lemon juice. 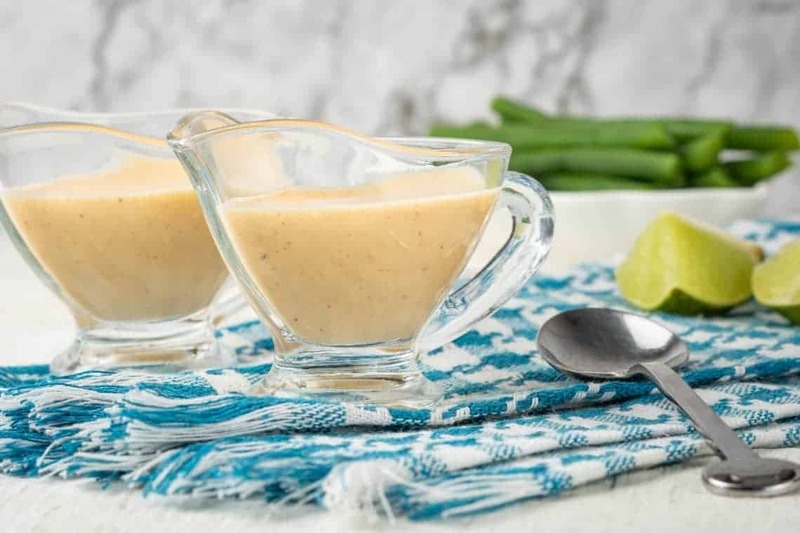 Formerly known as a “Dutch” sauce, hollandaise is sometimes accompanied by a white wine or vinegar reduction. 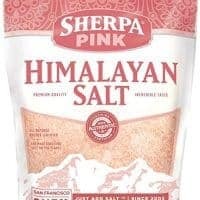 Normally it is seasoned with salt, black pepper, white pepper, or cayenne pepper. Hollandaise is considered one of the five mother sauces of French cuisine. It is well known as a key ingredient of eggs Benedict and is often served on vegetables such as steamed asparagus. So what makes sriracha hollandaise different than regular hollandaise sauce? To start, the addition of sriracha, or in this case, chili garlic sauce. 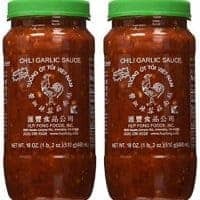 Chili garlic sauce, which is made by the same company that makes sriracha, is a delicious and hot sauce that is a great additive to a plethora of dishes. The good news is, it doesn’t contain any sugar and therefore, is much more keto/low-carb friendly. If you’re wondering about the difference in actual sriracha and garlic chili sauce, read on below for discussion on the topic. To make this awesomely tangy, spicy, and fat-filled sauce, you’ll need to grab the following ingredients. After you have these rounded up, read on for directions on how to make this wonderful sauce! Begin by placing the egg yolks in a high-speed blender. Turn the blender on and leave running. While the blender is still running, slowly pour in the melted butter through the opening in the top of the blender. Add the chili garlic sauce, lemon juice, and salt. Blend for another minute to properly emulsify the mixture. Turn blender off, top your food, and enjoy! WHAT IS SRIRACHA HOLLANDAISE BEST ON? Traditionally, hollandaise sauce is used on eggs benedict. This dish consists of an egg muffin (not on keto, of course), a poached egg, ham or bacon, and regular hollandaise sauce. You can easily make this same dish, just without the bread. This sriracha hollandaise with an extra kick of spice? Even more delicious! Vegetables are great with hollandaise. The most common vegetable served with this sauce over top? Asparagus! Simply roast your asparagus in the oven for fifteen to twenty minutes. Then, drizzle this sauce overtop while the asparagus is still warm. Yummy! IS GARLIC CHILI SAUCE THE SAME AS SRIRACHA? On the surface, no. In fact, this question was the topic of a huge debate on the online forum, Reddit. Tons of people weighed in their thoughts on the topic. Most answers focused on the differences in the taste or the consistency of each sauce. One answer stood out amongst the rest. It was simple, concise, and made a ton of sense. Sriracha contains added sugar, which is then fermented to yield a sour note. Chili garlic paste doesn’t contain added sugar and is not fermented. I tend to think of chili garlic paste as a seasoning/base ingredient to be cooked into or incorporated into the dish, and sriracha as a condiment, for the person eating the meal to add as they see fit. There’s no reason you couldn’t use the one for the other, though. And, in short order, there you have it. The sauces contain most, if not all of the same ingredients. The main difference is the one thing we hate on keto/low-carb diets; sugar. They are interchangeable as far as taste is concerned, so why not always use the one that has no added sugar? 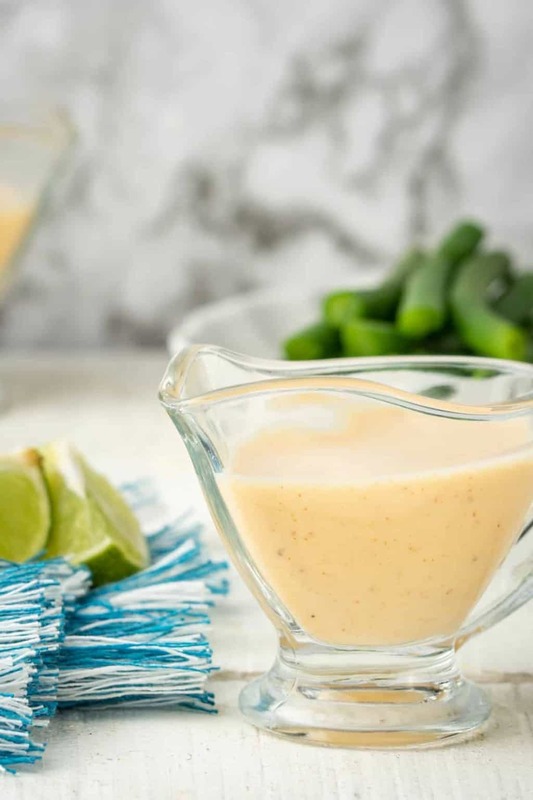 Storing keto sriracha hollandaise sauce is very easy. Just use an airtight container and refrigerate. It’s that simple! HOW LONG WILL THIS HOLLANDAISE LAST? 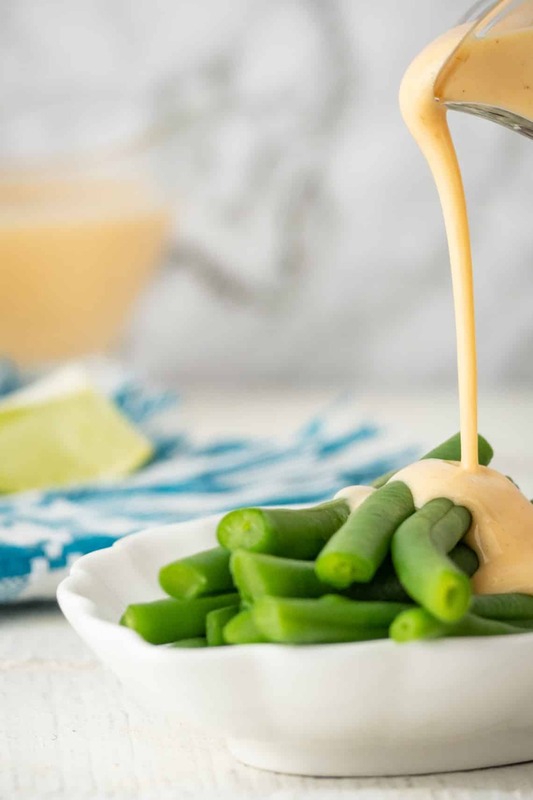 Due to the nature of the ingredients in sriracha hollandaise, it will only last a maximum of two days in the refrigerator. Make sure when you are making this recipe that you are planning on using the sauce in short order. Don’t expect to make this and have it last for a week or more until you have a chance to use it. Ideally, make it and use it at least the same day, if not away. Truly, if you aren’t making all of your foods fresh, what’s really the point anyway? CAN HOLLANDAISE SAUCE SIT OUT? No! A quick look at the ingredient list tells us this sauce can’t sit out for more than an hour or so. If you leave it out for any longer than that, you are running the risk of foodborne illness due to the ingredients in the sauce. The easy answer is… Keep it cold! SHOULDN’T THE EGG YOLKS BE COOKED? So glad you asked! The statistics say that 1 in 30,000 egg yolks pose a salmonella risk. This change is actually lessened if buying eggs that are pasteurized and have been treated more than normal eggs. We believe it is safe to use raw yolks, but you need to follow your own gut and personal guidance on this one. There are methods for making hollandaise that requires cooking of the mixture, but this isn’t one of them. CAN SRIRACHA HOLLANDAISE BE FROZEN? 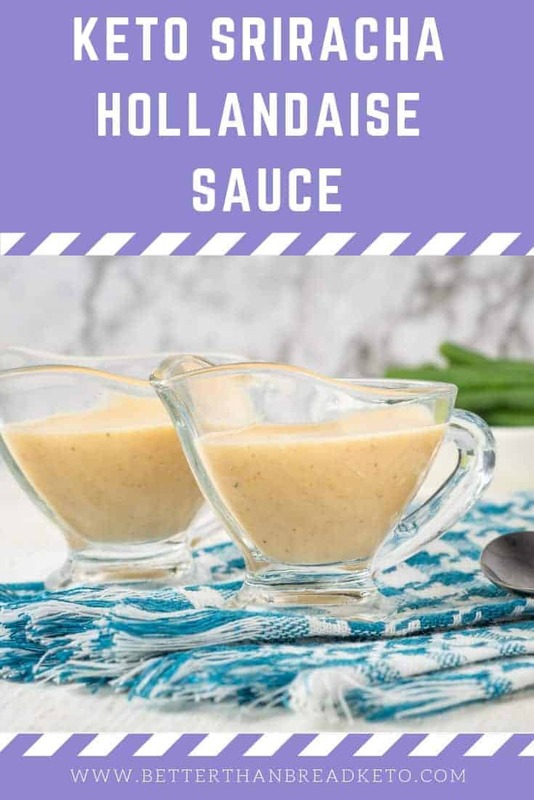 While this seems like an odd question to ask, it might be a good one to know if you are planning on making hollandaise and using it multiple times. As we mentioned above, this sauce will not keep for more than a few days. If you are planning on keeping the sauce for more than this time, you will need to freeze it. Freeze it in an airtight container. Thaw by letting it sit at room temperature for an hour, then transferring to a saucepan over low heat. You do not want to cook the sauce, you simply are aiming to heat it enough to thaw though. Once this has been done, transfer the sauce to a container for storage in the refrigerator and chill. At this time, the same “lifespan” rules from above apply again at this time. Do note, the sauce cannot be frozen twice. Turn blender off, top, and enjoy!